Lubrication system Dry sump with separate oil tank. Double trochoidal pump with oil cooling radiator. Clutch Multiple disk in oil bath with patented PPC power-assisted hydraulic control. Metal braided clutch line. Radial master cylinder. Frame Box section sloping twin-spar aluminium alloy frame. Ã–hlins Racing adjustable double chamber steering damper with monoblock mounting. 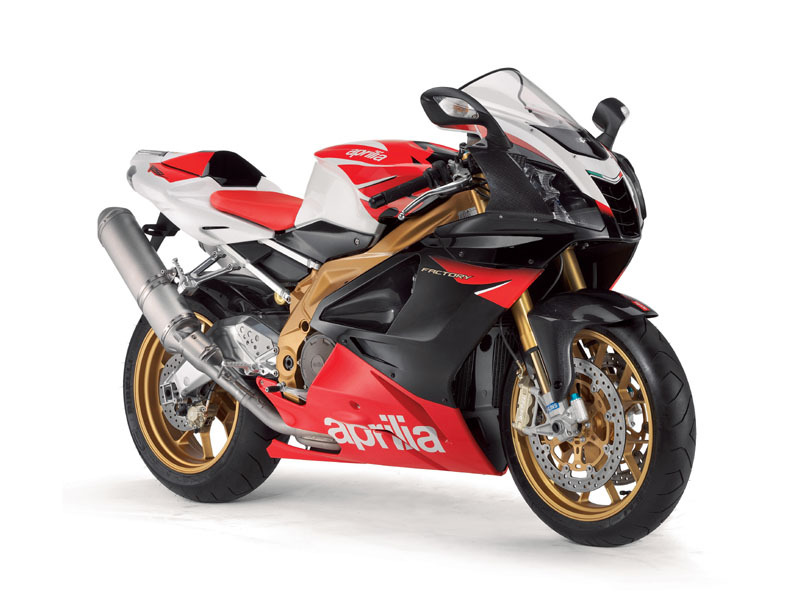 NOTE: On this page you will find ONLY Aprilia RSV 1000 R Factory 2007 motorcycles specifications specifications and details. We don`t sell this product.